I have linked it up with trakt.tv to track my tv and movie watching (just like music scrobbling with last.fm) Using it has allowed me to catch up on shows that I might not have otherwise had the time to watch. It was easy to start going through all the Buffy episodes while waiting to feed Scarlett at night since they were sitting on my computer and I didn’t have to go find the DVDs. 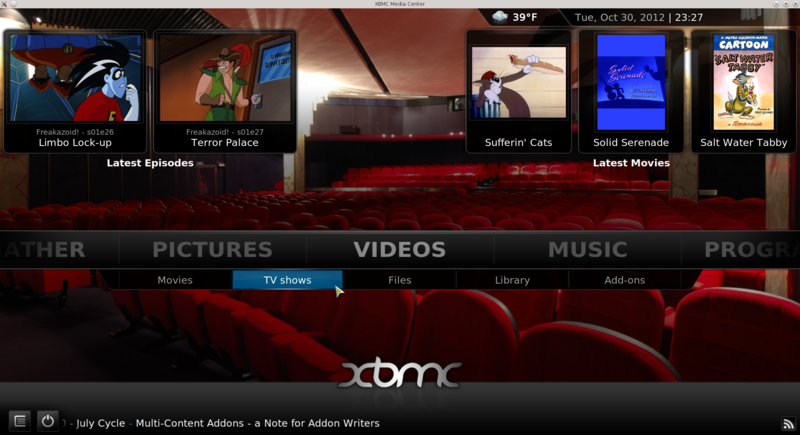 And if I have to stop watching a show for a while it’s nice that xbmc keeps track of which episodes I’ve watched. It’s also extremely convenient to just look for something to watch during dinner time or at other idle times. 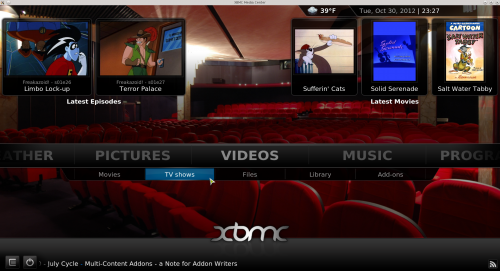 I’d recommend it to anyone who wants a good, comprehensive HTPC application.